Ah, fall! How it always seems to arrive suddenly, “crisp and golden as an apple.” Now that storefronts are being prepped to look like winter wonderlands, it’s time to get your holiday marketing plan in order. When you run your own business and sell stuff online, the holiday season is often the busiest time of year. In 2016, more than 108 million people shopped online during Black Friday and Cyber Monday alone, around 5 million more than the previous year. With the influx of web traffic the season often brings, you’ll need a strategy to help you engage with your current customers and attract new ones. Have you dusted off your automations? Polished up your messaging? Updated your list? No matter the size of your business or budget, MailChimp has all the tools you need to reach your holiday marketing goals. 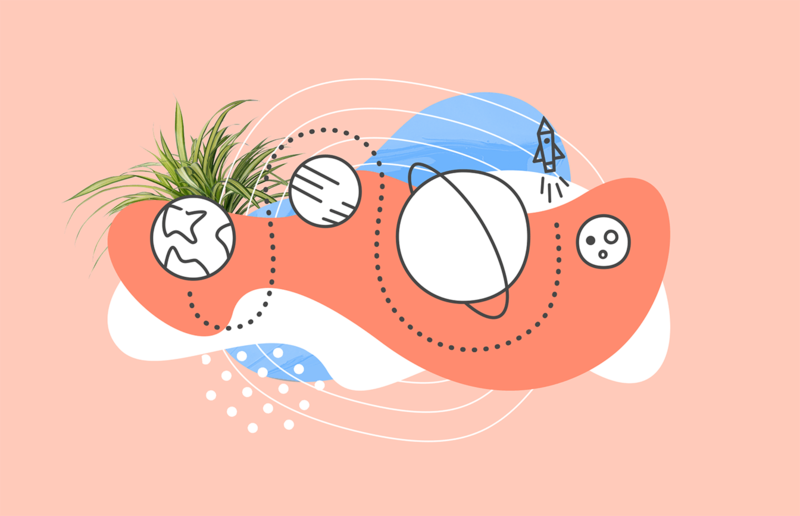 In this post, we’ll be talking about 4 ways you can use MailChimp to build your audience. 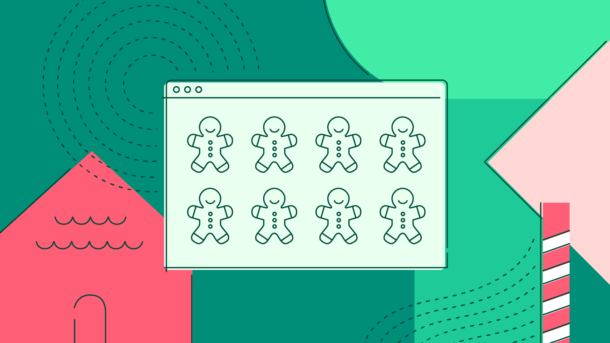 Pop-up forms tend to get a bad rap for being annoying or intrusive, but when you use them the right way, they can help you drive signups and revenue for your holiday campaign. We even found that adding a pop-up form to your site can increase your list growth rate, on average, by 60%. MailChimp makes it easy to design beautiful, mobile-friendly pop-ups that match the style of your brand. You can customize your form to appear on a time-based delay, exit-intent trigger, or scroll-based trigger, so you can make sure you’re grabbing your audience’s attention at the right moment. As people visit your site in search of the perfect gift, pop-up forms are a smart, effective way to convert them into subscribers. Sometimes, the best way to find new customers is to go where your current ones are already hanging out. 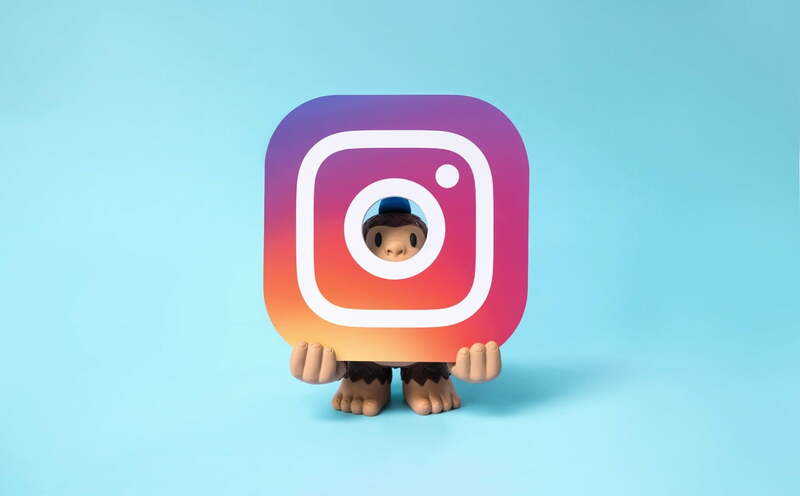 With Facebook and Instagram ad campaigns in MailChimp, you can unlock the power of your list to target existing customers on both platforms or find new contacts who are a lot like the ones who already love you. If you’ve connected your store, you might want to target people similar to your best customers. For example, you can use a segment of subscribers who have spent more than $100 or made more than 2 orders. You can also create a segment based on the contact rating of your subscribers to help you find people similar to your most engaged readers. Your list data will help you attract the right audience with your ads, so you can ensure you’re reaching people who are most likely to convert into customers. Plus, our data shows that using your MailChimp list to target similar people is 25% more effective than interest targeting. Don’t wait until Black Friday or Cyber Monday to email your customers—start right now! People are more likely to think of your products again when they start their holiday shopping if you reach out now. If your MailChimp account is connected to Shopify or BigCommerce, you can add a promo code block to a campaign or automation to give loyal subscribers a coupon that can be used any time during the holidays. You might want to create a special VIP automation series to provide your best customers with a sneak peak at a new collection. Or you could just say hi, talk about how your business is gearing up for the season (like The Peach Truck does in its off-season), or share a holiday memory. Engaging with your subscribers before the holidays also gives you a chance to make sure your list is fired up and ready to go. After each campaign you send, keep an eye on your open and click rates, subscriber contact ratings, and bounces and unsubscribes, so you can figure out the best way to drive engagement in your holiday campaigns. And if you have a few customers who haven’t been active in a while, now’s the time to re-engage them. You don’t want your customers to think of your emails as just another subject line clamoring for attention in their inbox. If you’ve been talking to them leading up to Black Friday and Cyber Monday, then they’re already more likely to open your campaigns. But personalizing your holiday emails can help them perform even better. Just inserting our *|FNAME|* merge tag into your subject line to pull in the first names of subscribers can increase open rates by 42%. Your campaigns should show customers products they’d be interested in buying, and the best way to do that is through segmentation. Segment your audience based on past purchases and other e-commerce activity, so you can send campaigns that cater to the different collections of people on your list. Or take a cue from Gingiber and use our pre-built segments to identify subscribers you’d like to reward with a discount. And when you add product recommendations to your emails and automations, we’ll use your e-commerce data to automatically detect your customers’ buying behavior and showcase items from your store they’re sure to like. Now that you have some tips on how to build and nurture an audience for your holiday marketing campaigns, you can start to put together a plan that works for your business. Next time, we’ll discuss how to increase sales and encourage repeat customers this holiday season.